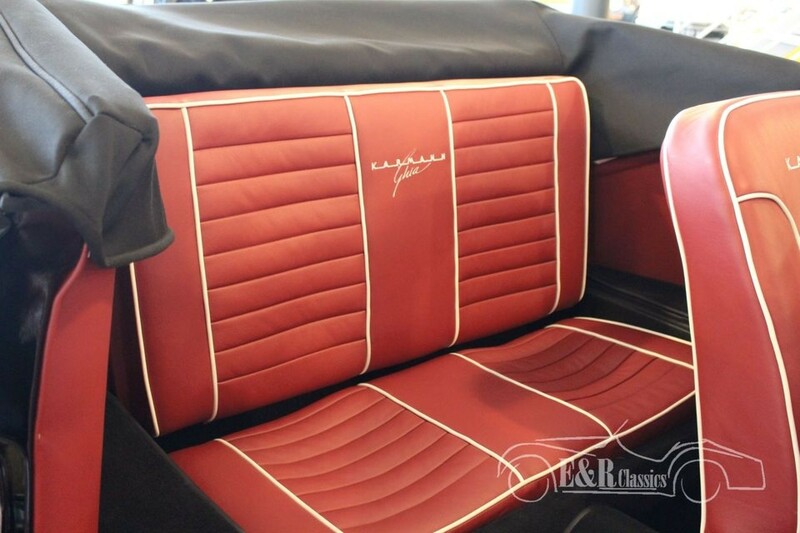 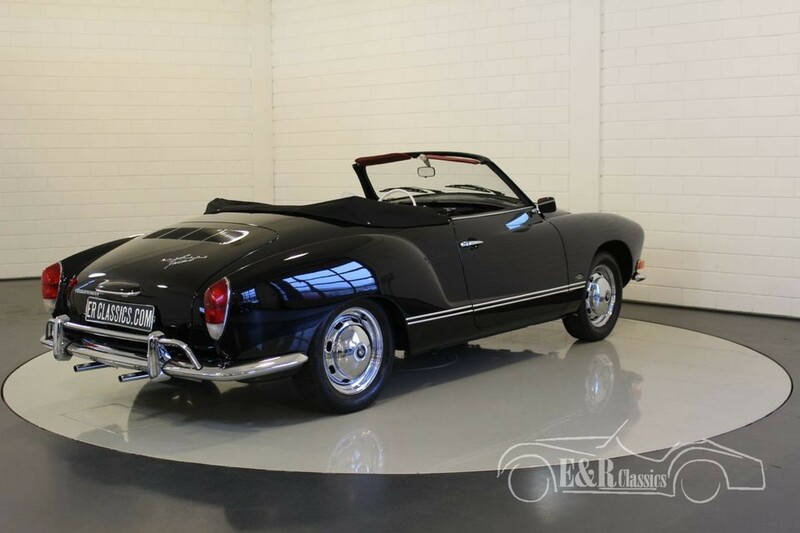 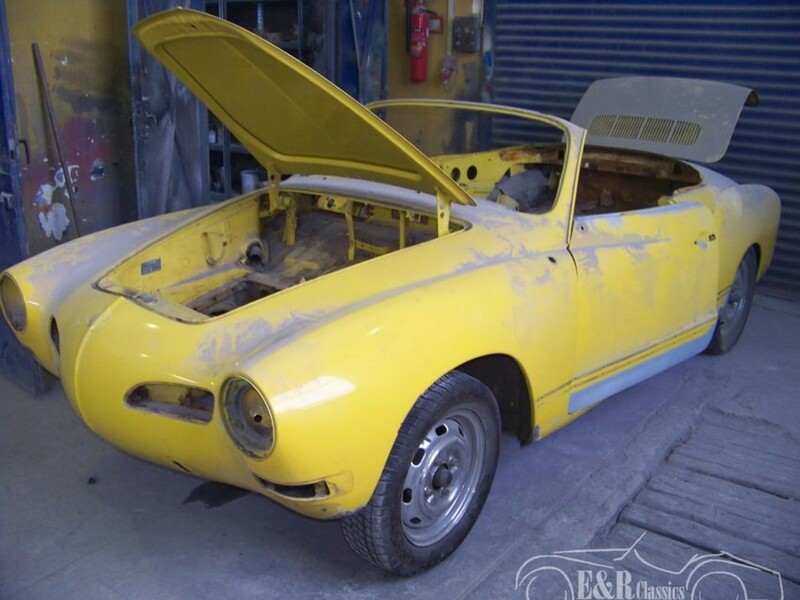 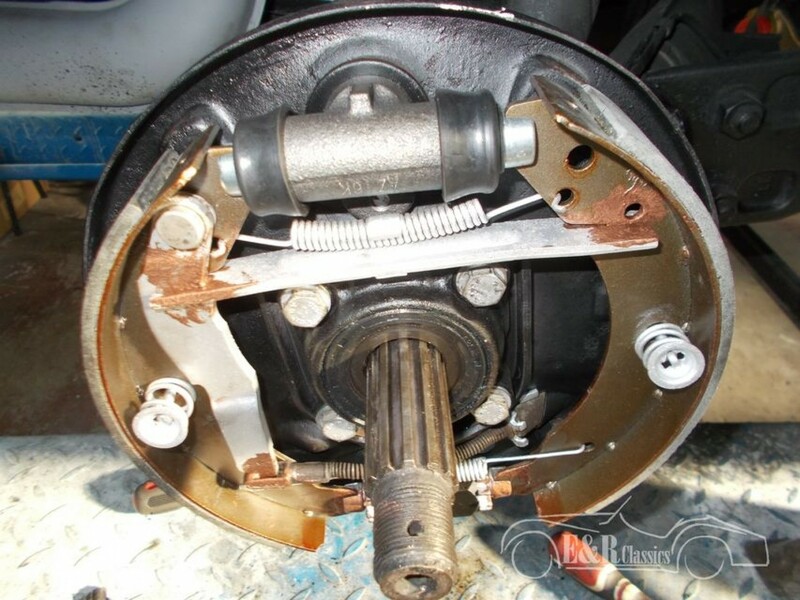 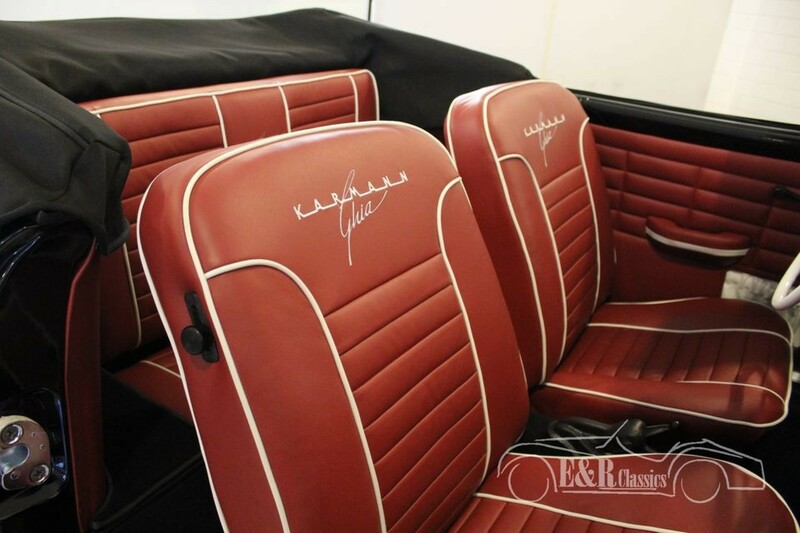 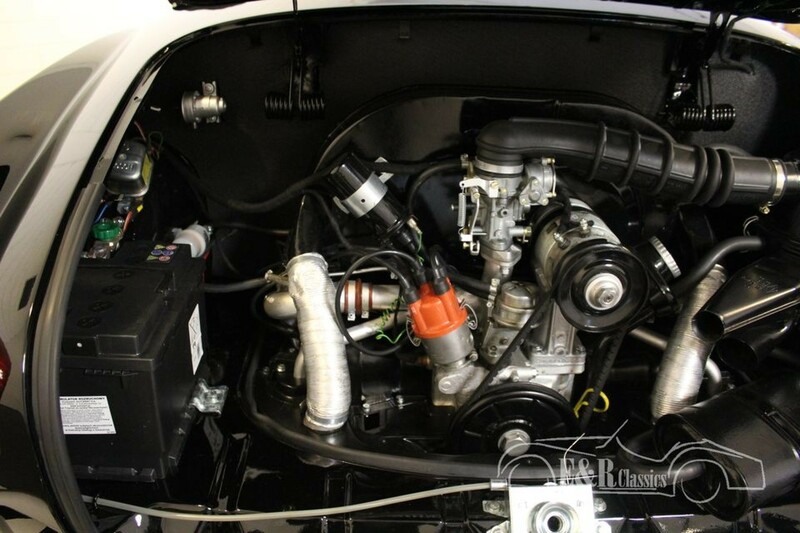 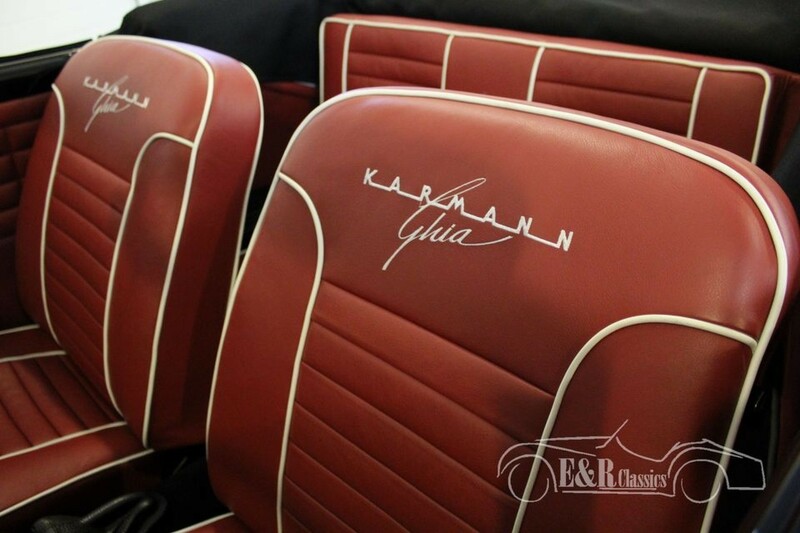 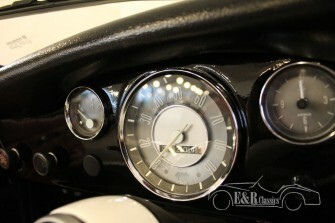 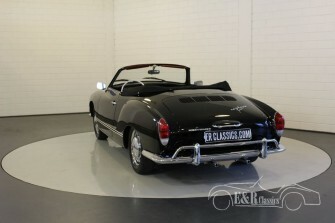 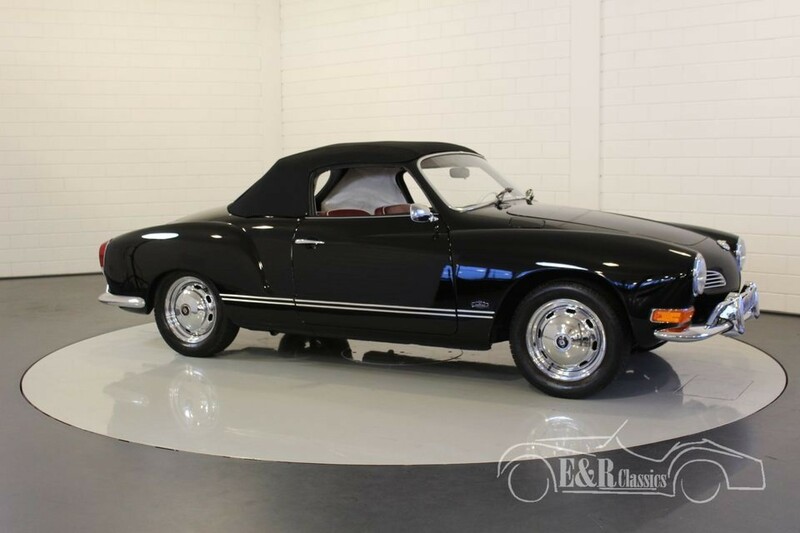 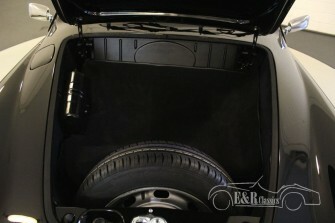 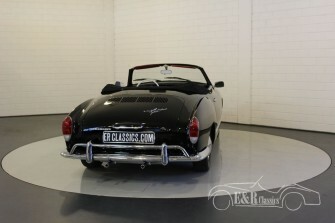 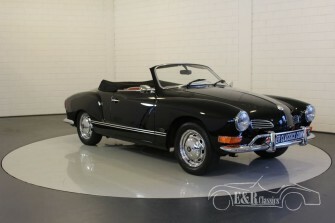 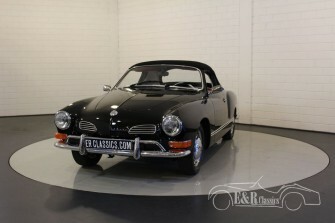 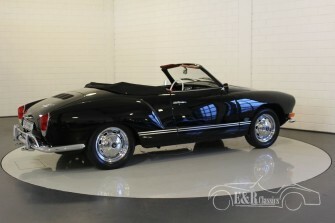 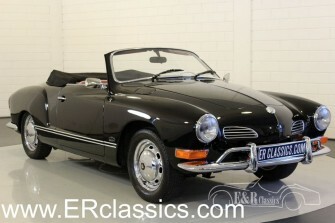 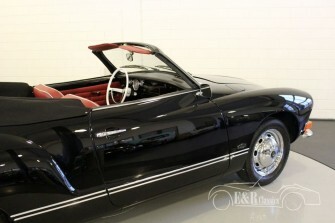 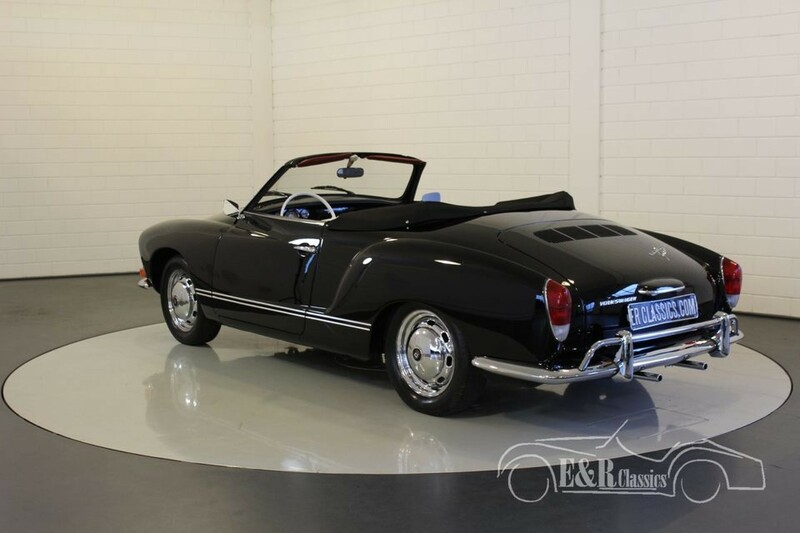 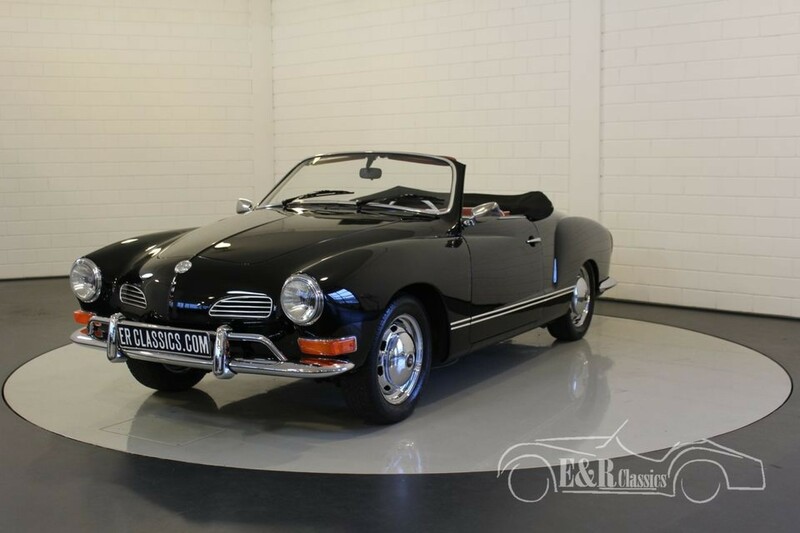 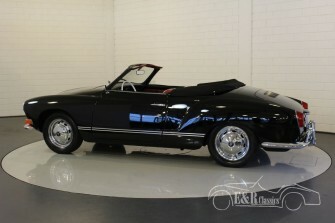 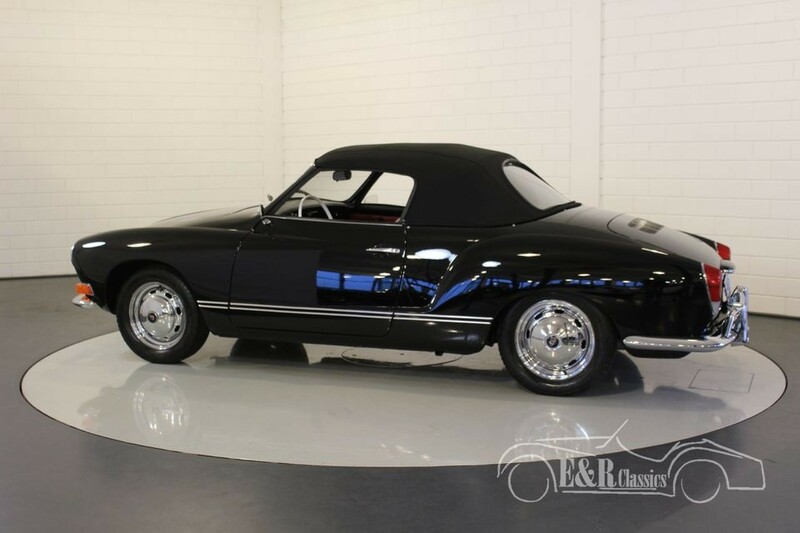 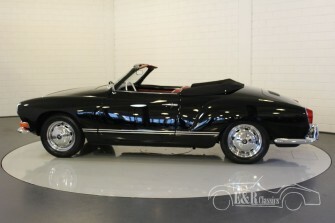 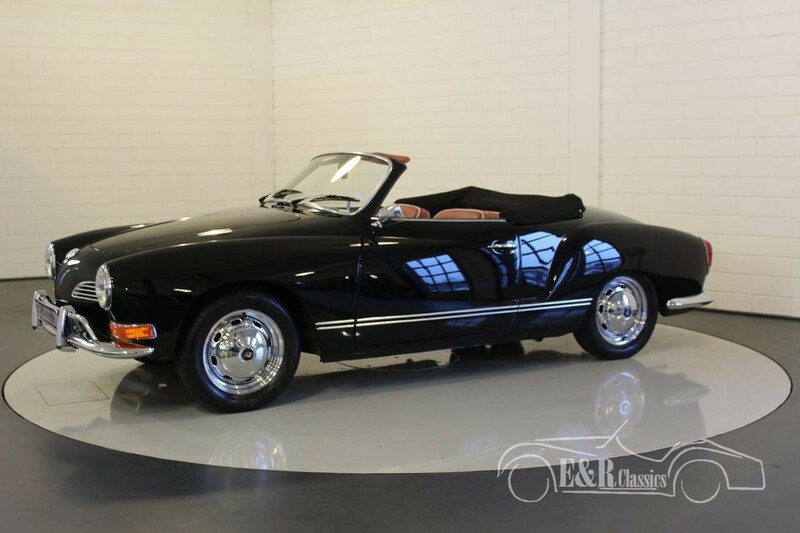 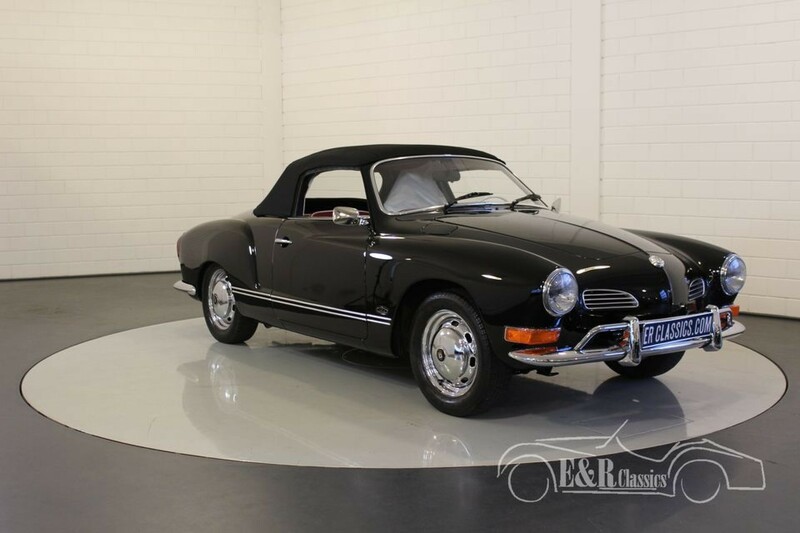 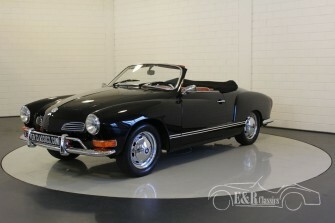 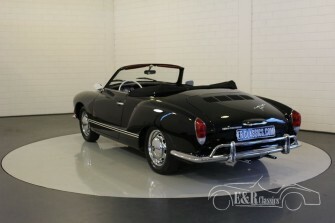 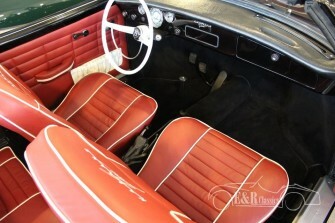 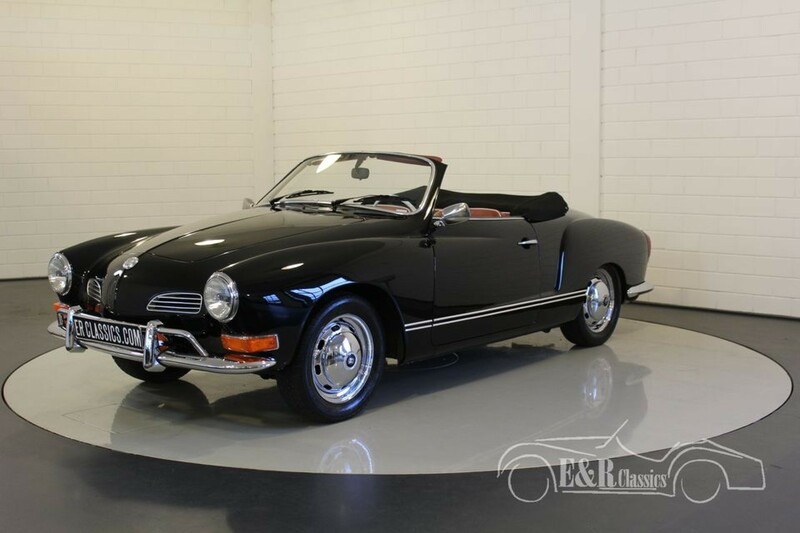 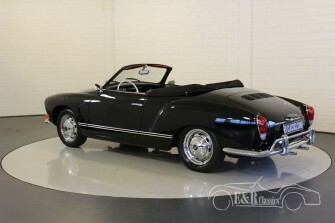 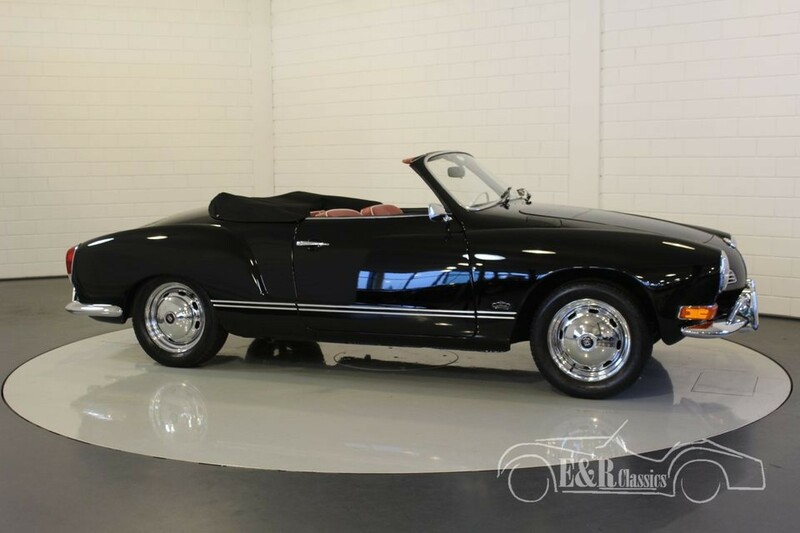 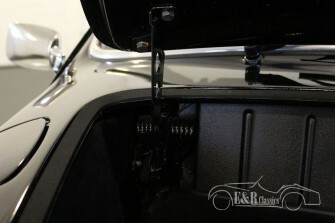 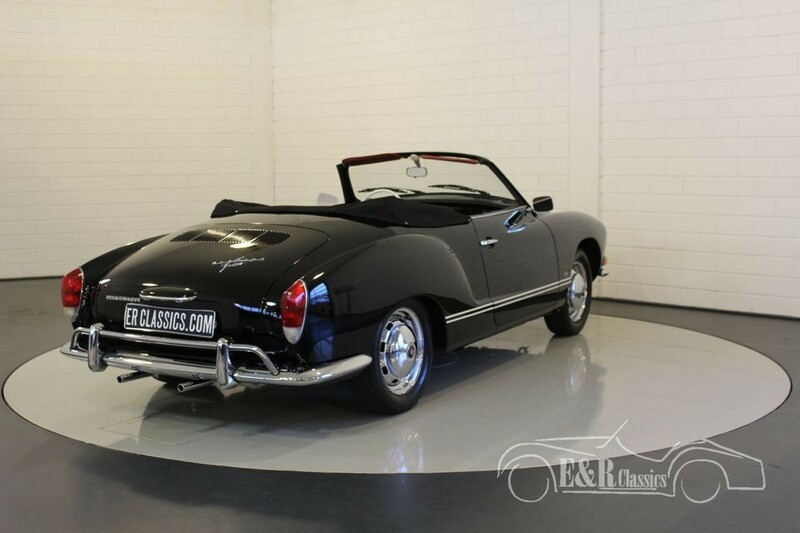 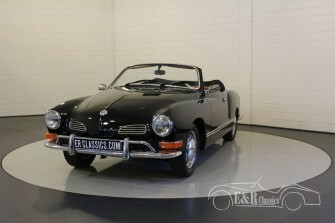 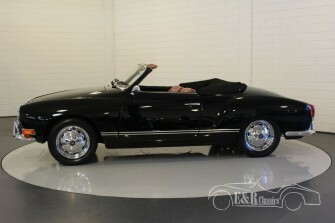 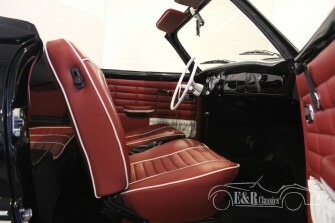 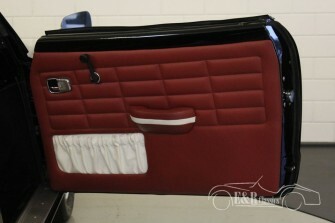 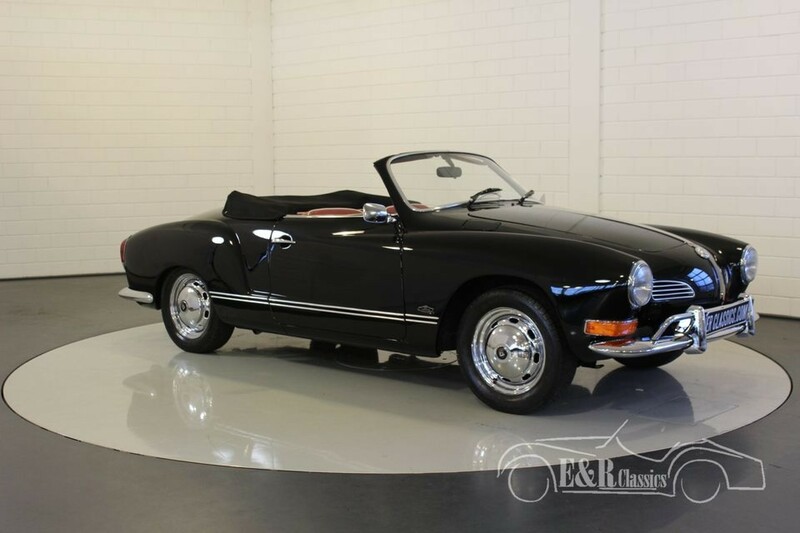 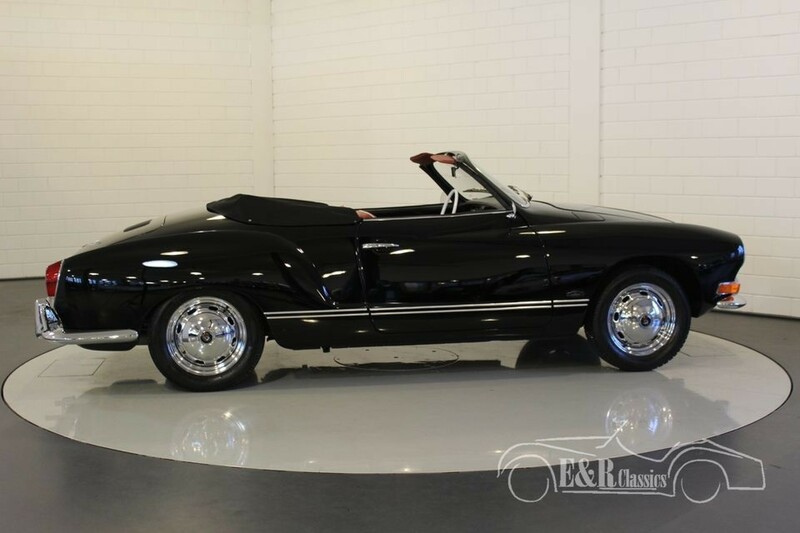 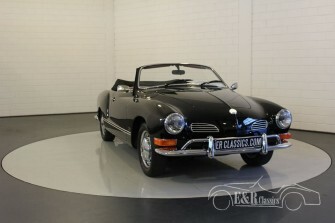 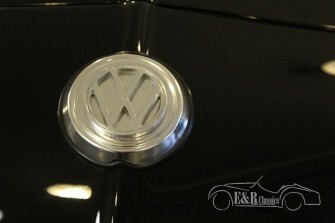 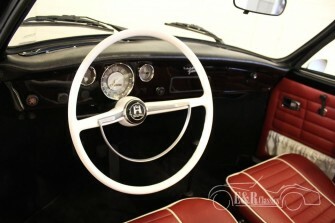 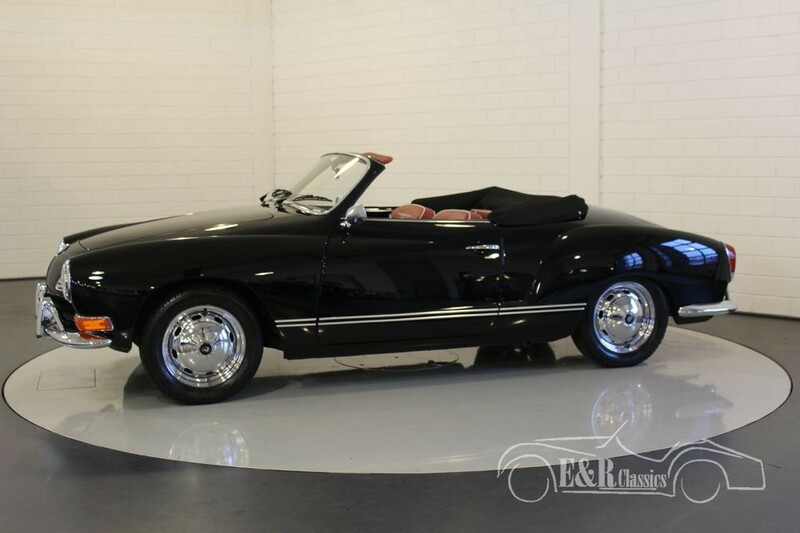 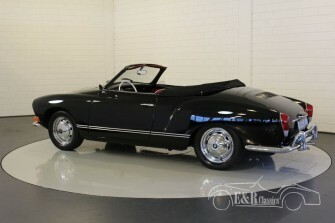 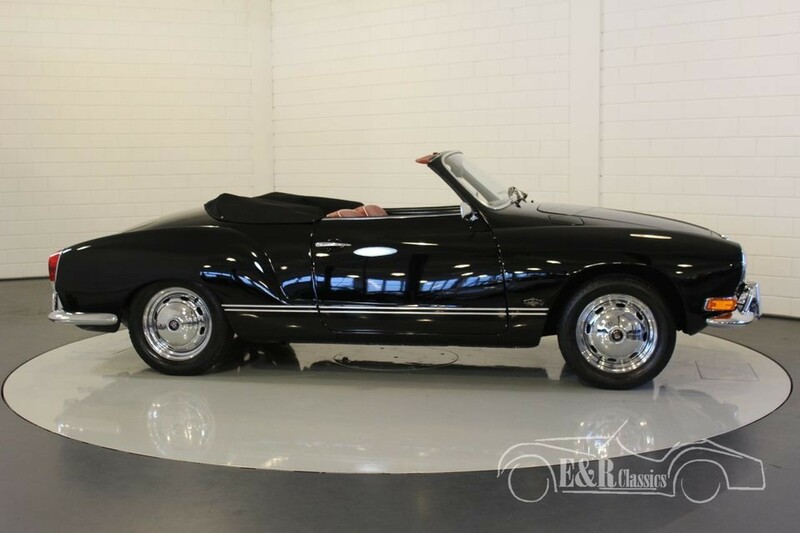 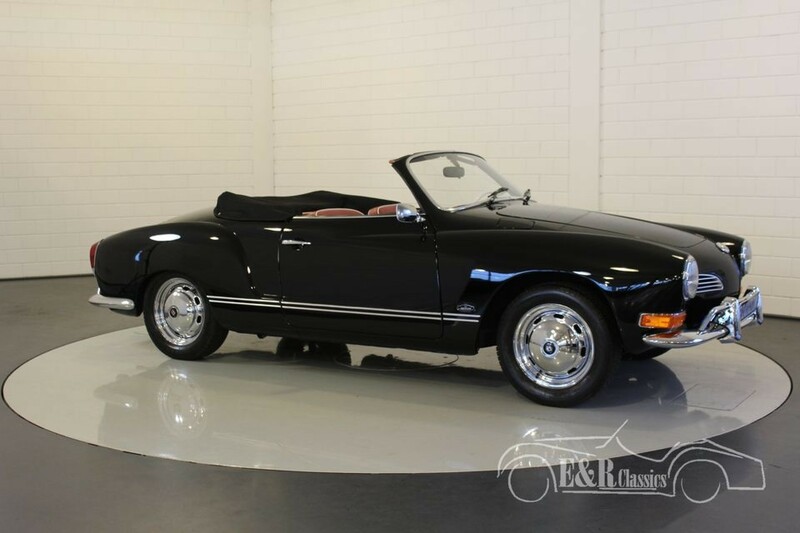 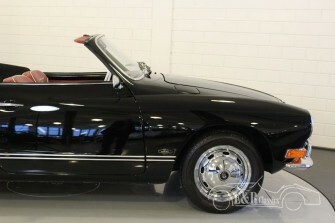 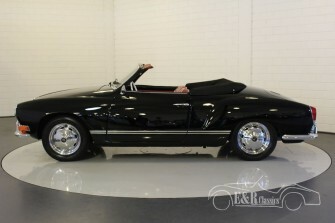 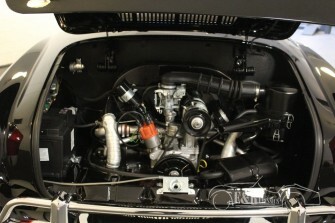 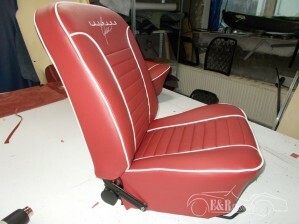 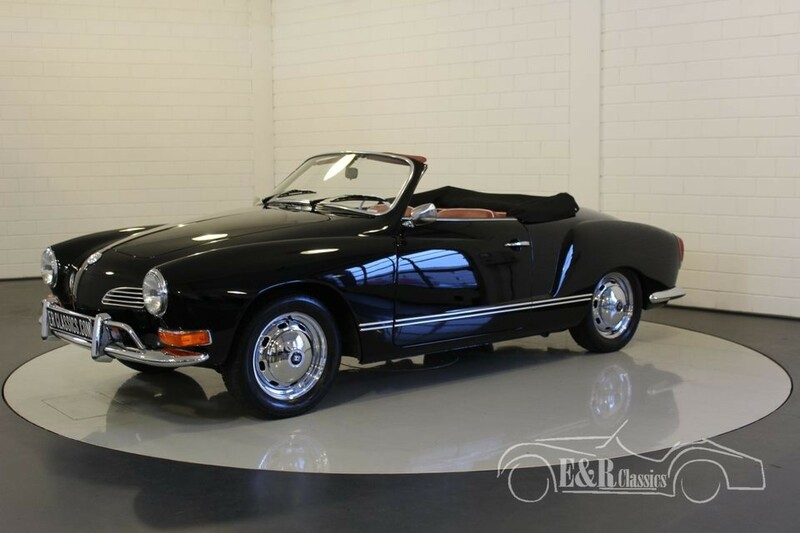 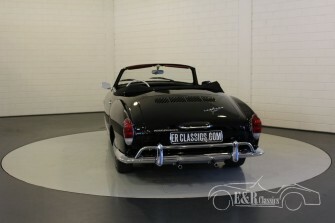 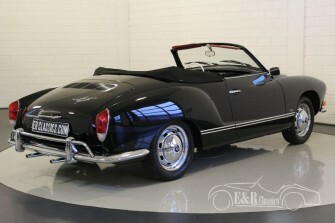 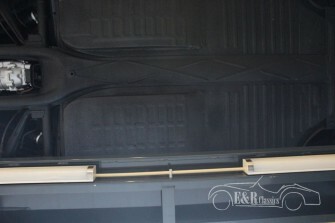 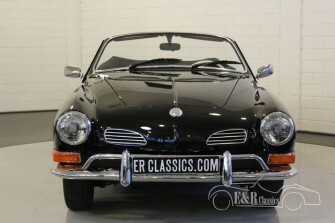 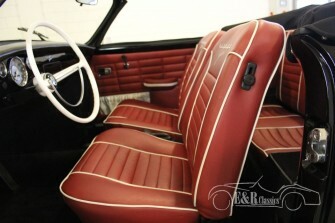 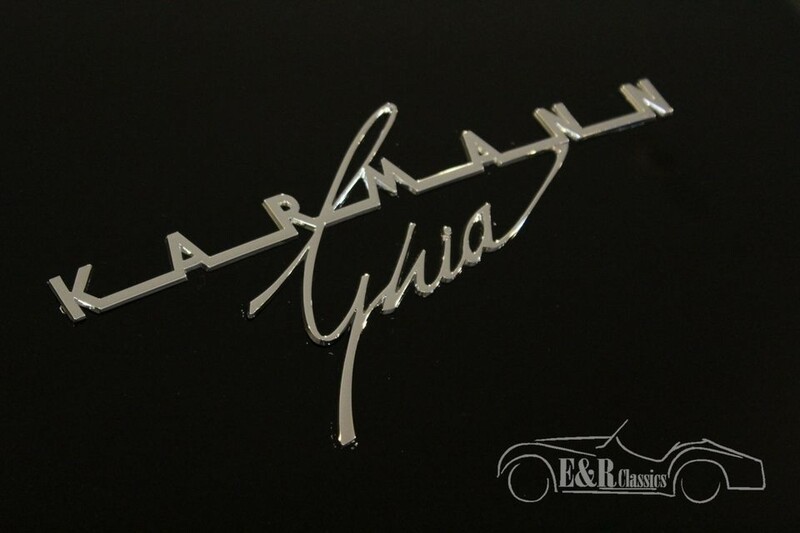 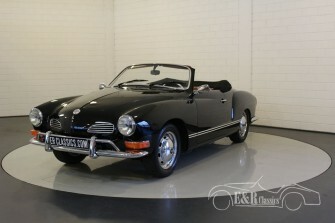 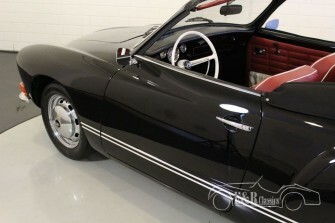 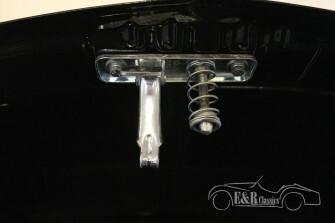 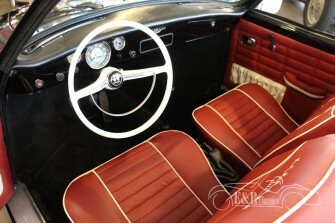 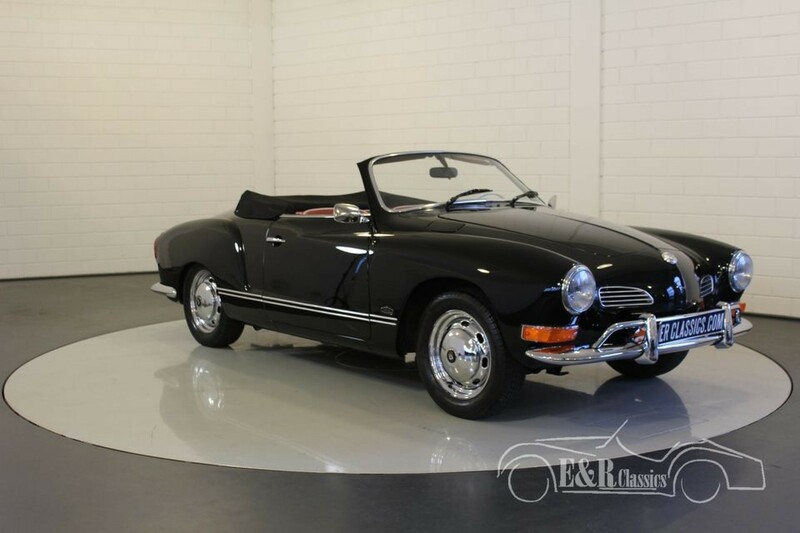 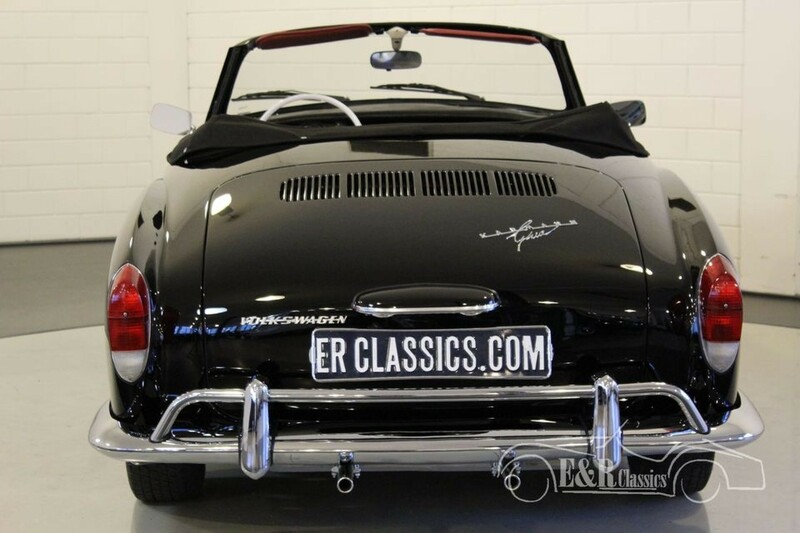 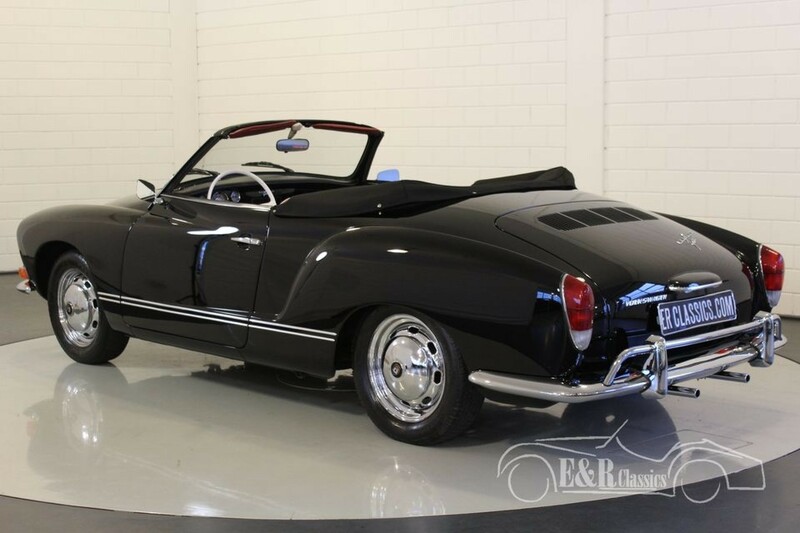 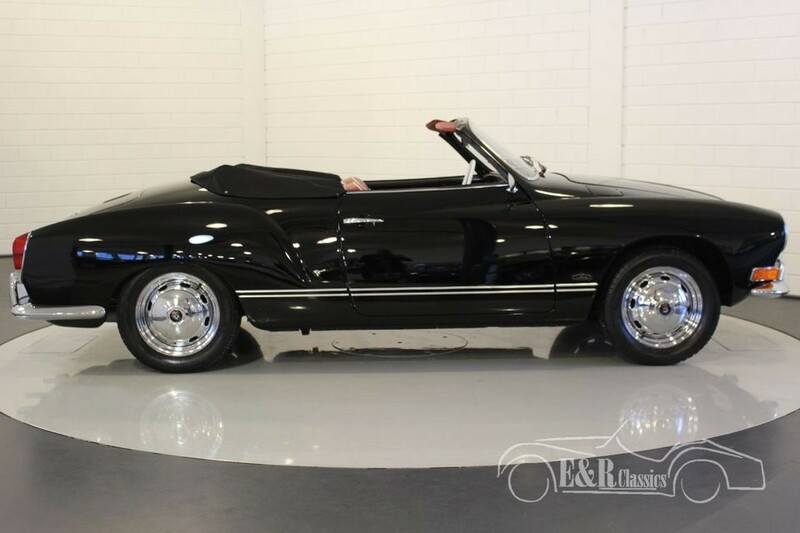 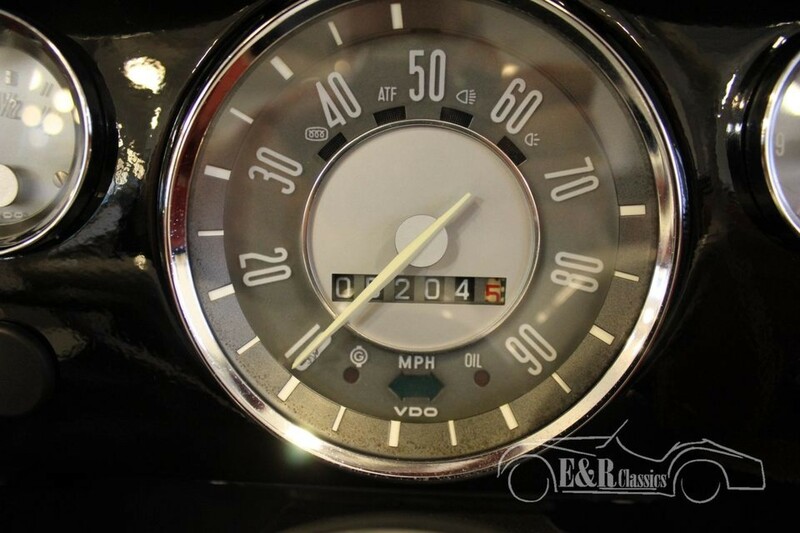 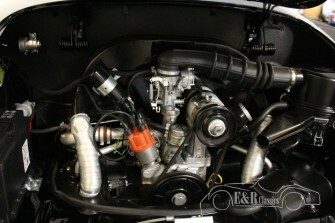 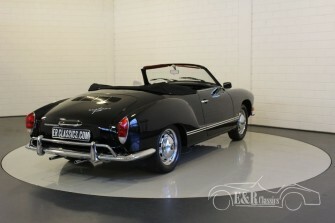 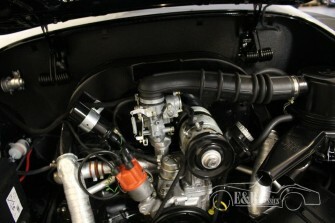 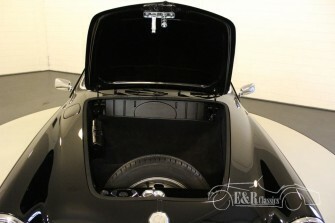 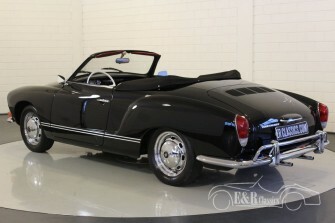 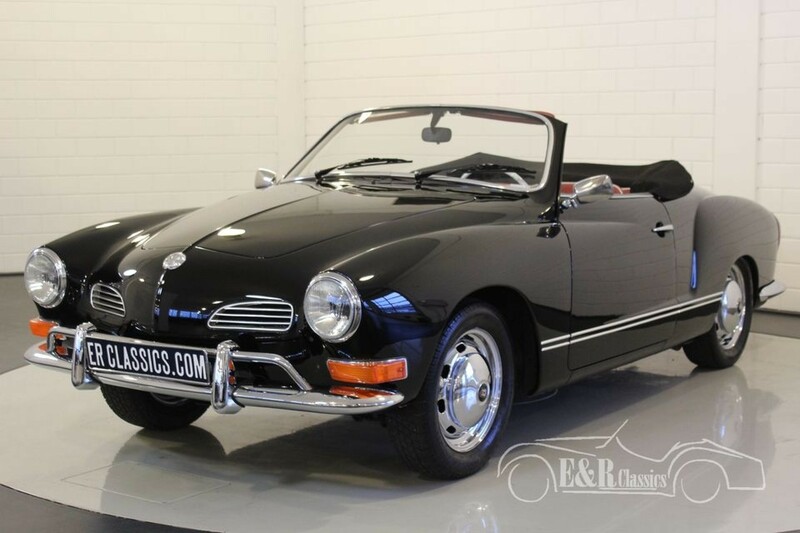 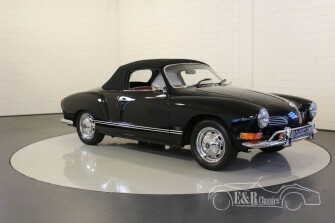 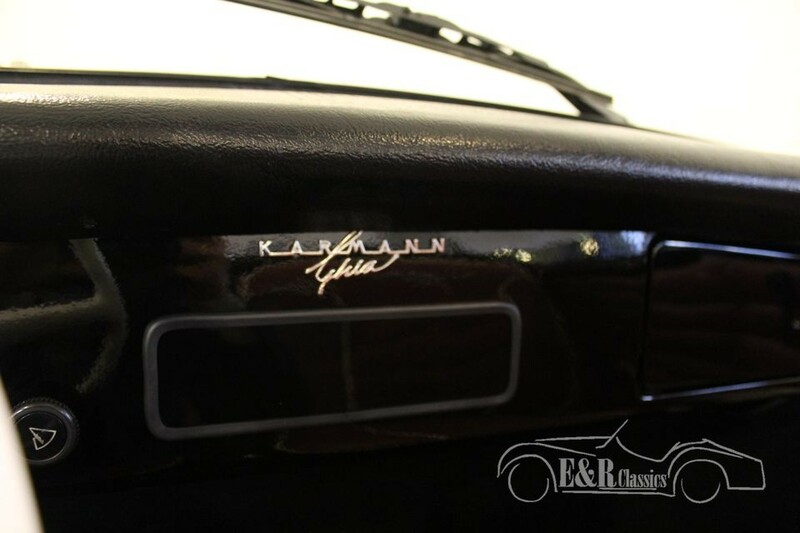 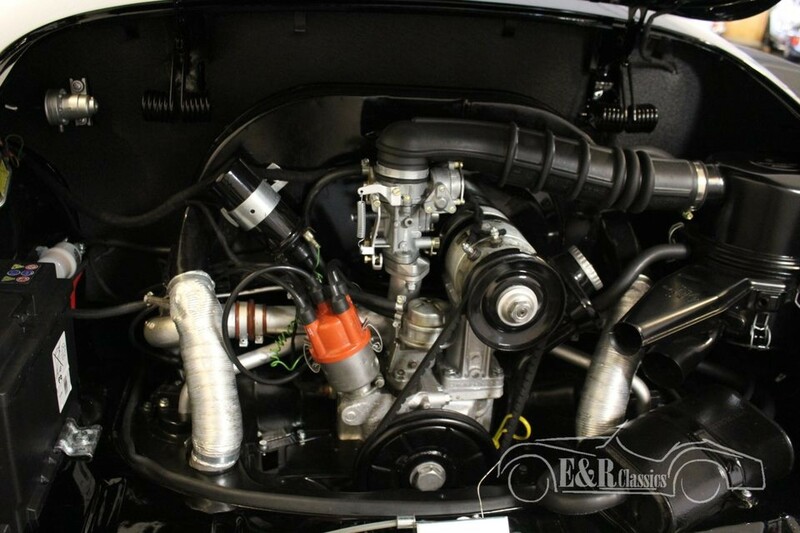 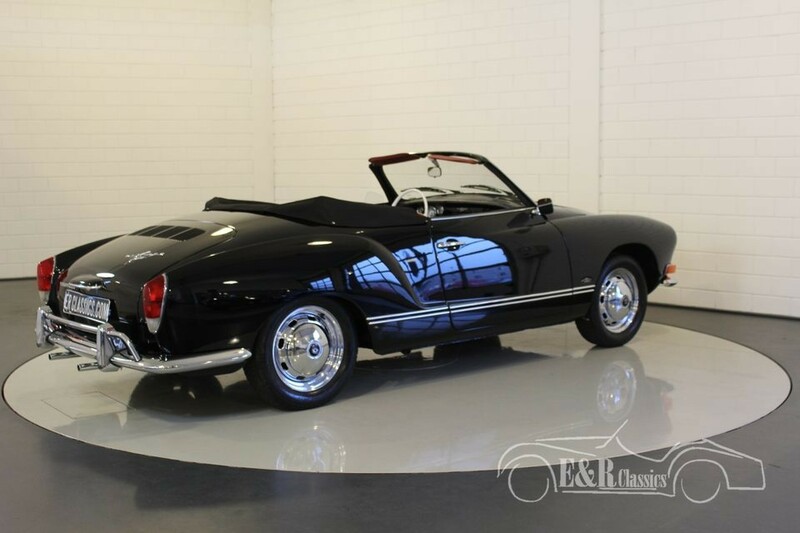 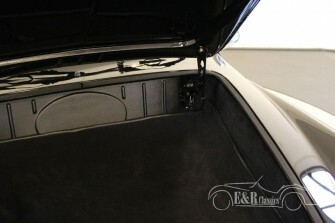 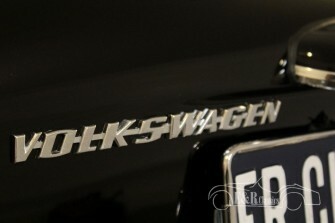 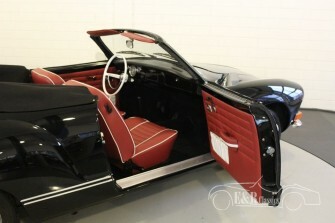 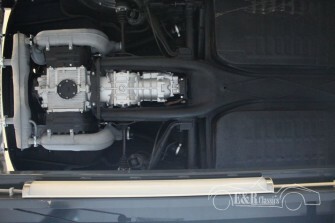 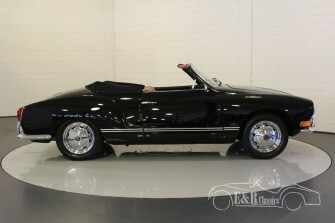 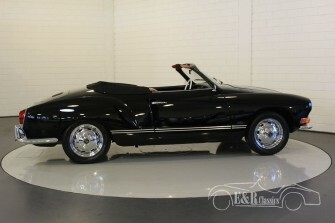 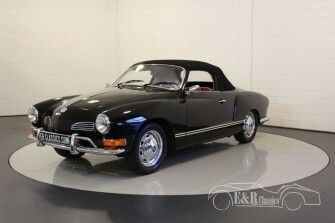 This is a 1971 Volkswagen Karmann Ghia convertible. 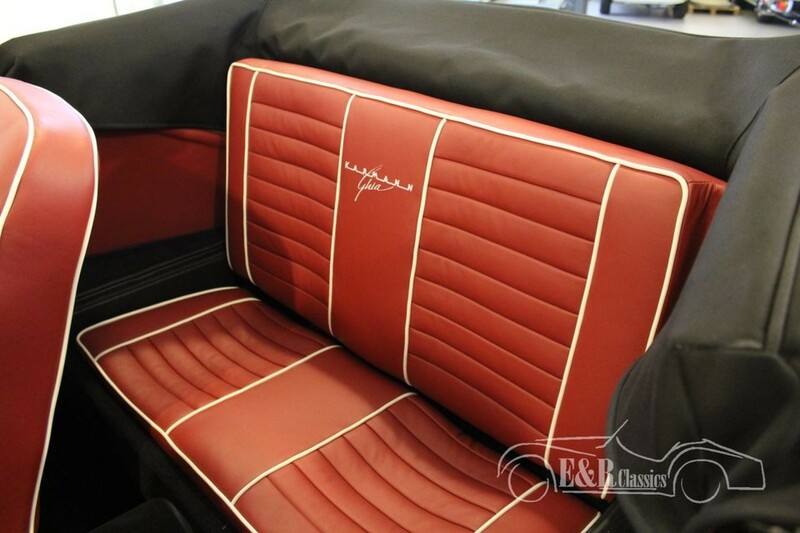 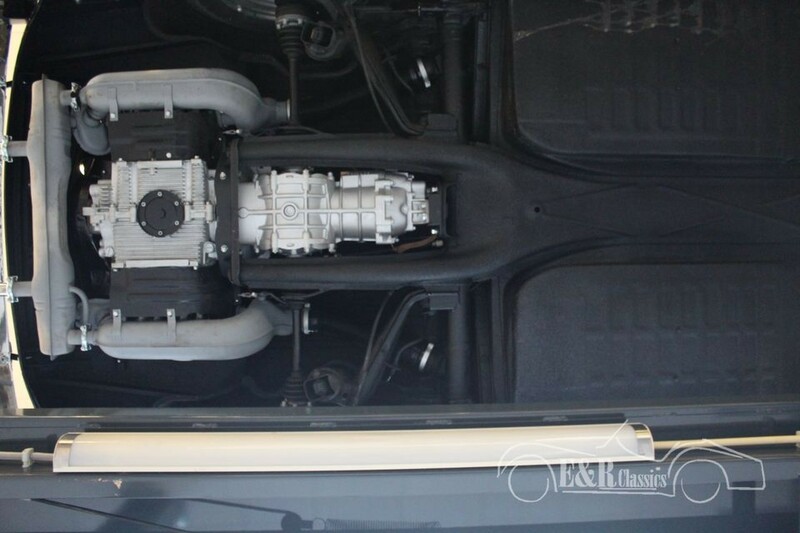 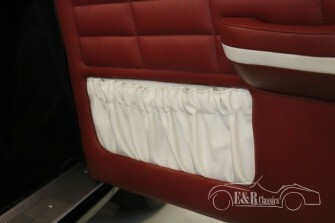 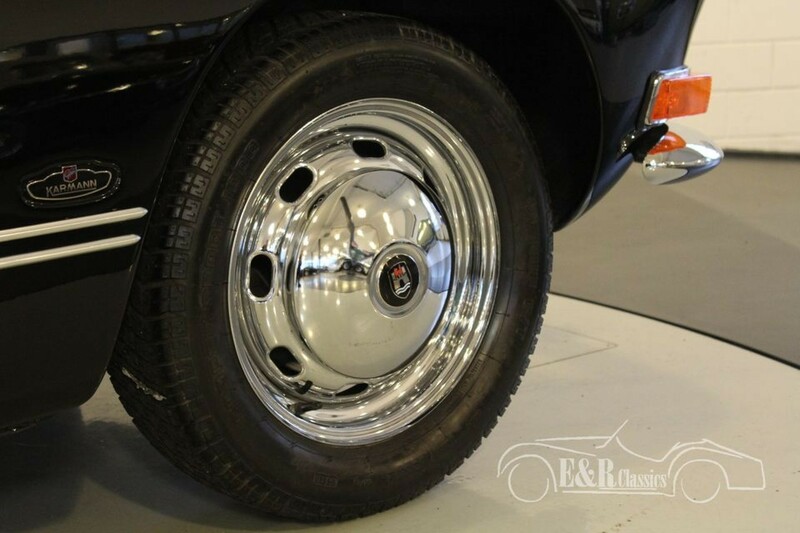 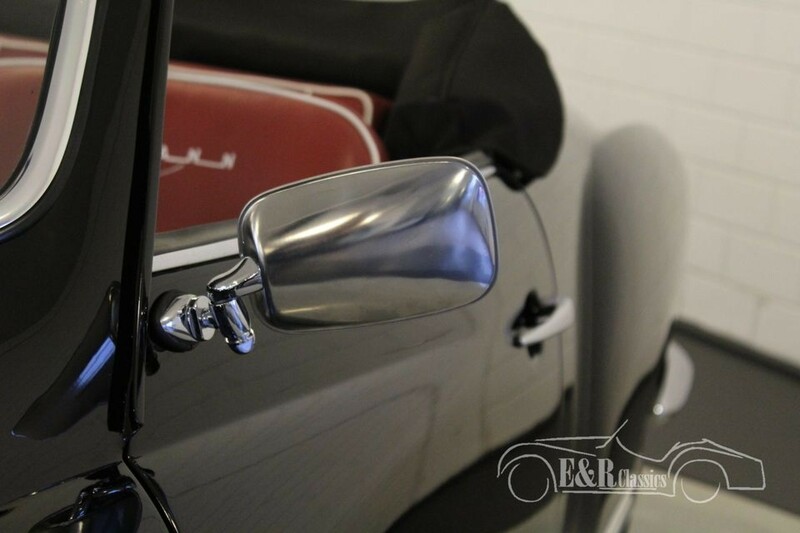 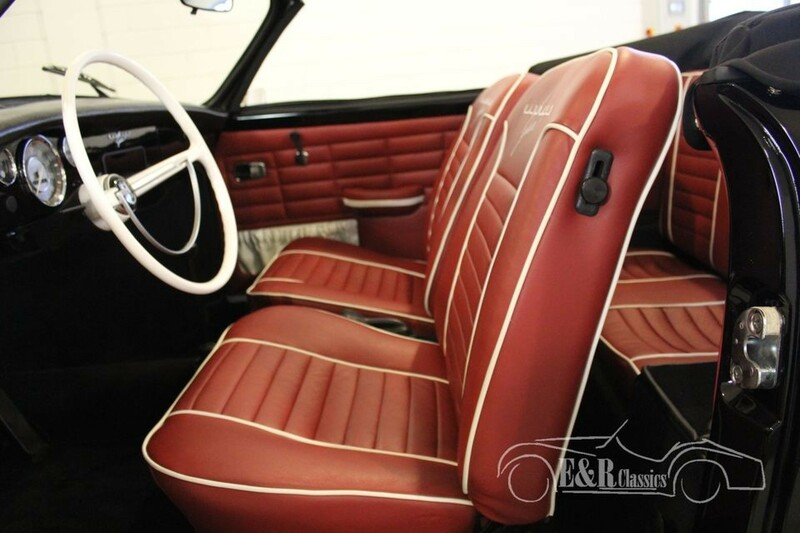 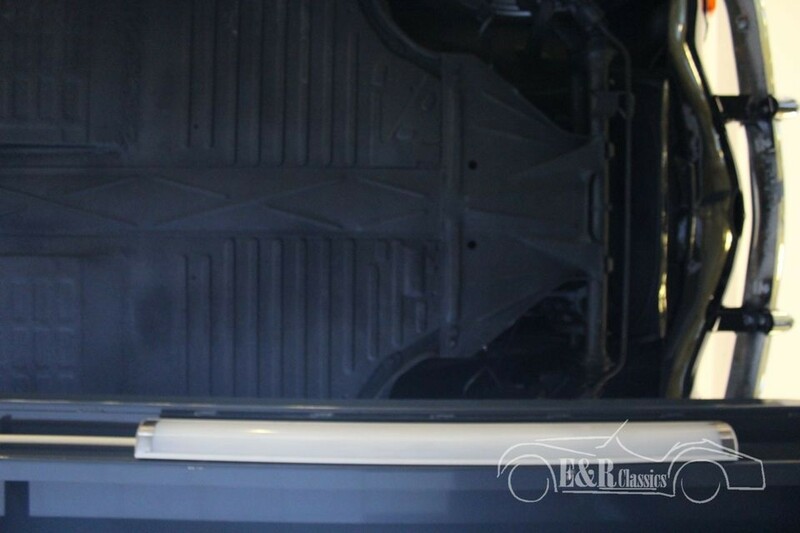 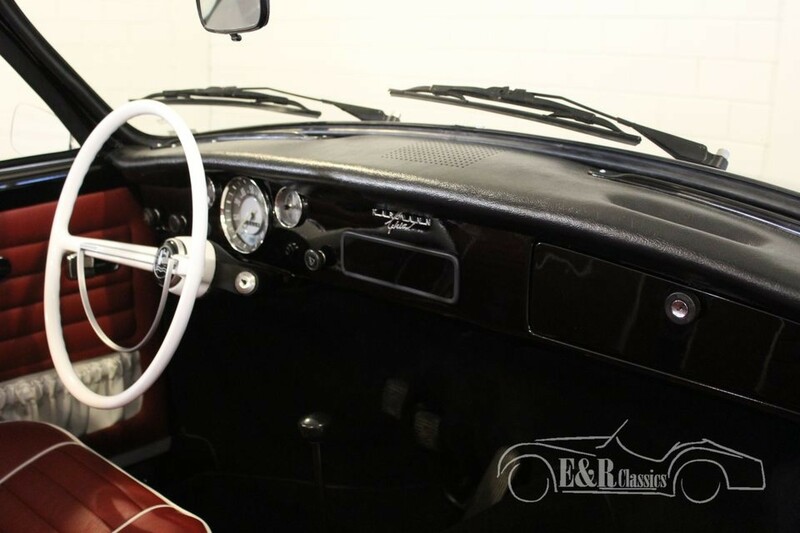 In 2017 the car was fully restored in our workshop to a topcondition. 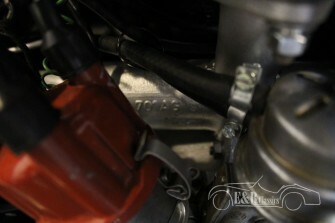 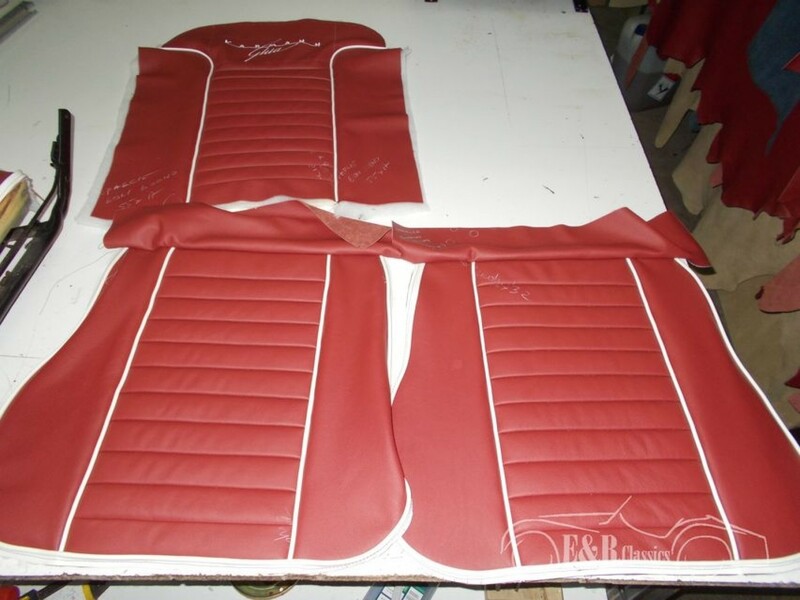 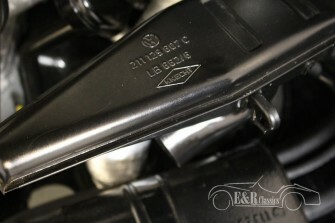 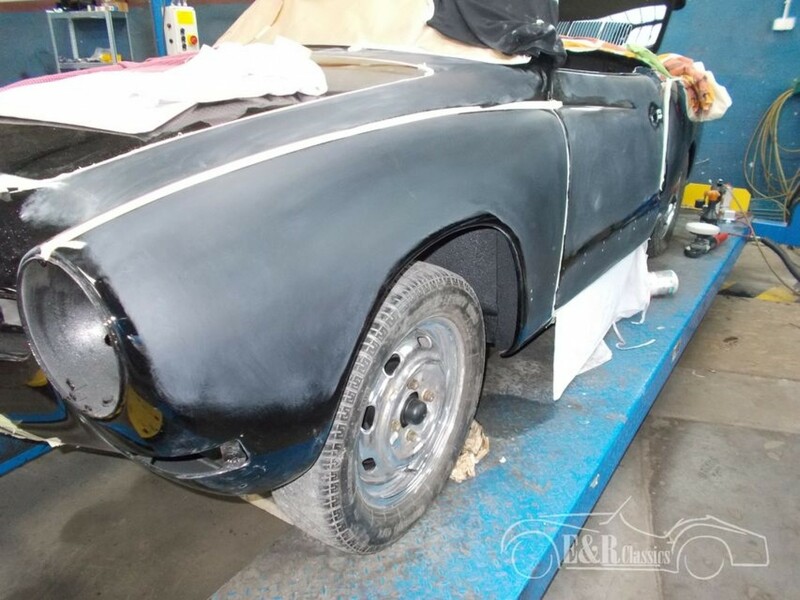 Complete photoreport of the restoration is present. 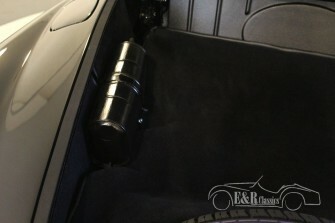 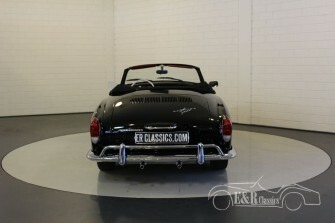 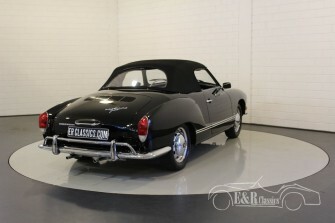 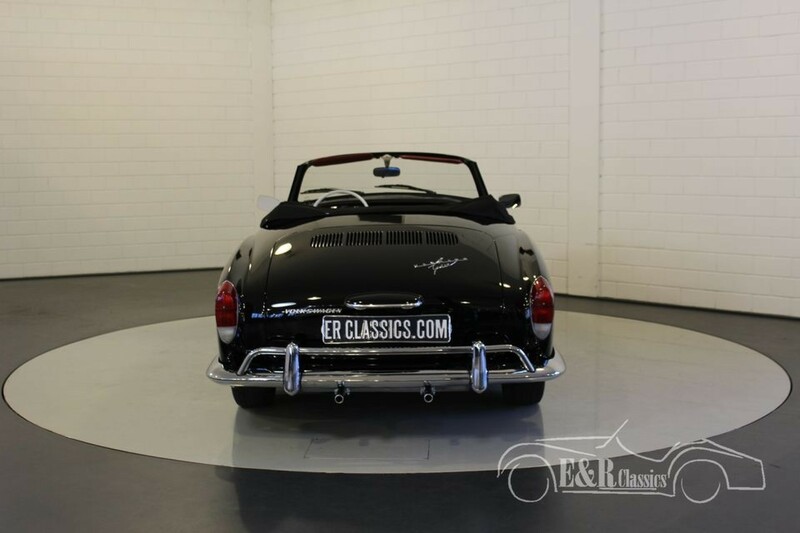 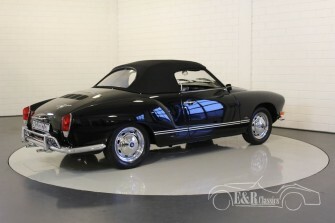 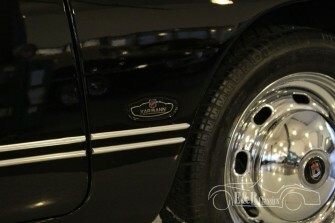 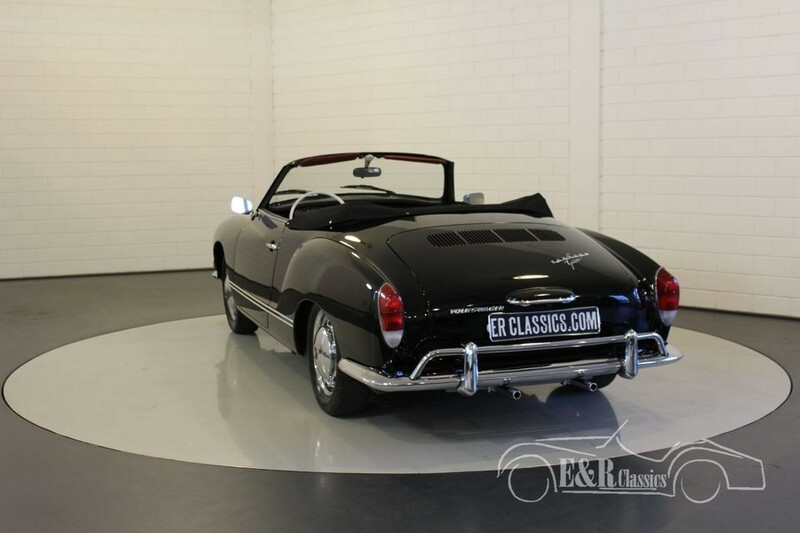 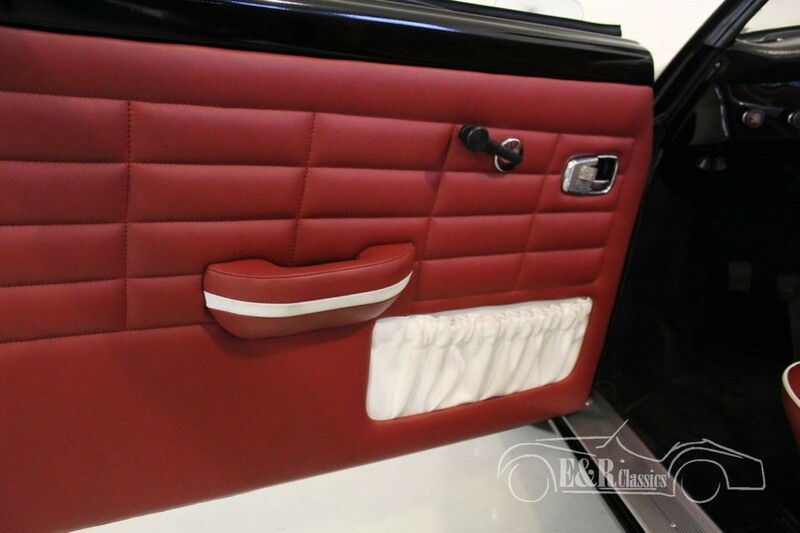 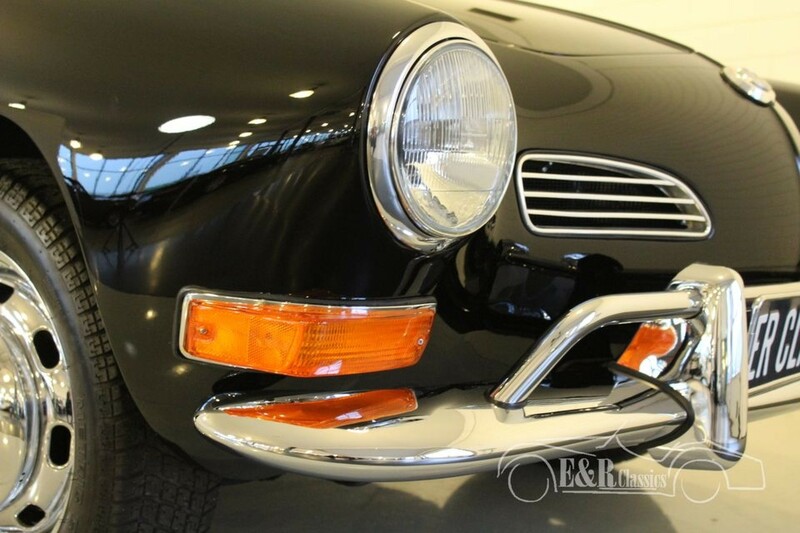 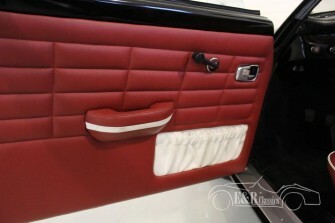 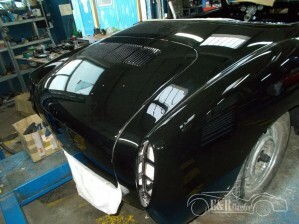 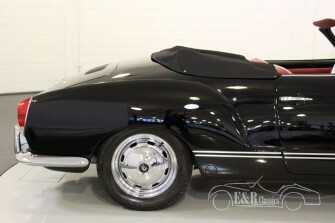 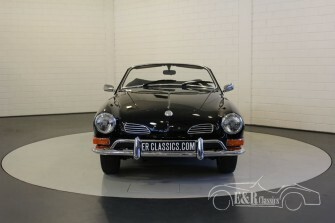 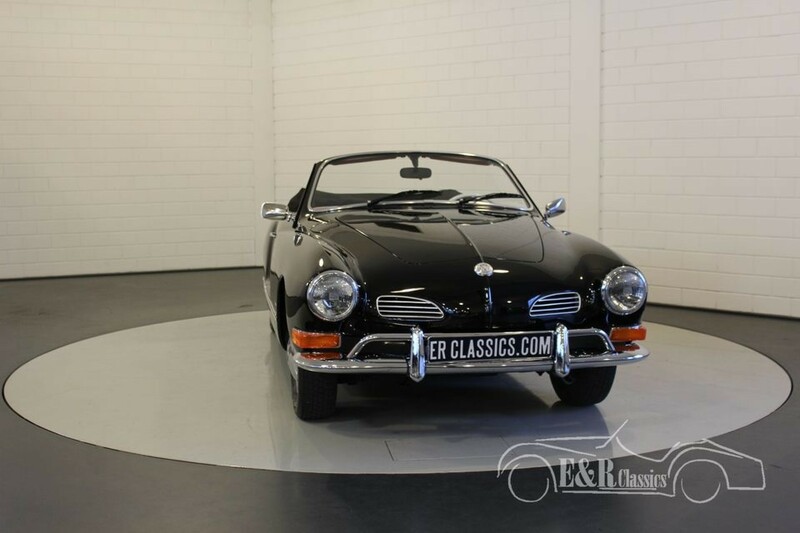 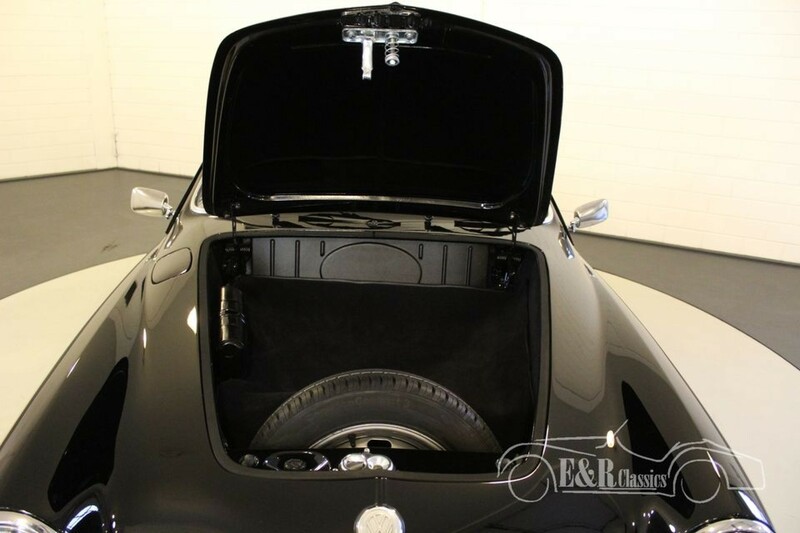 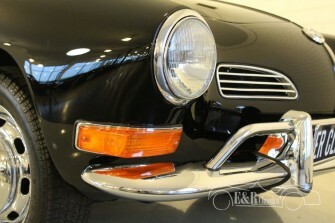 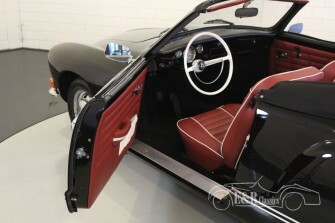 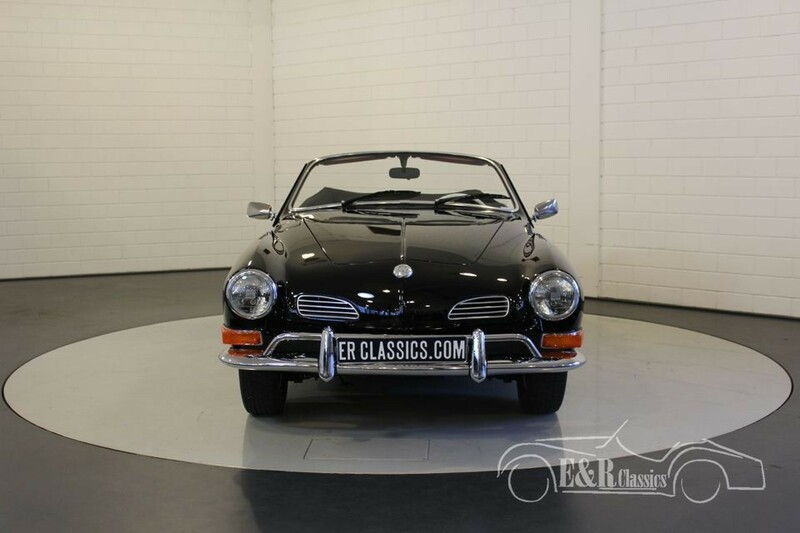 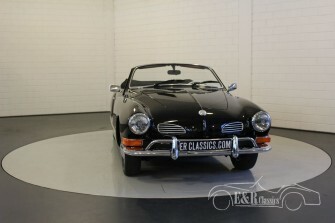 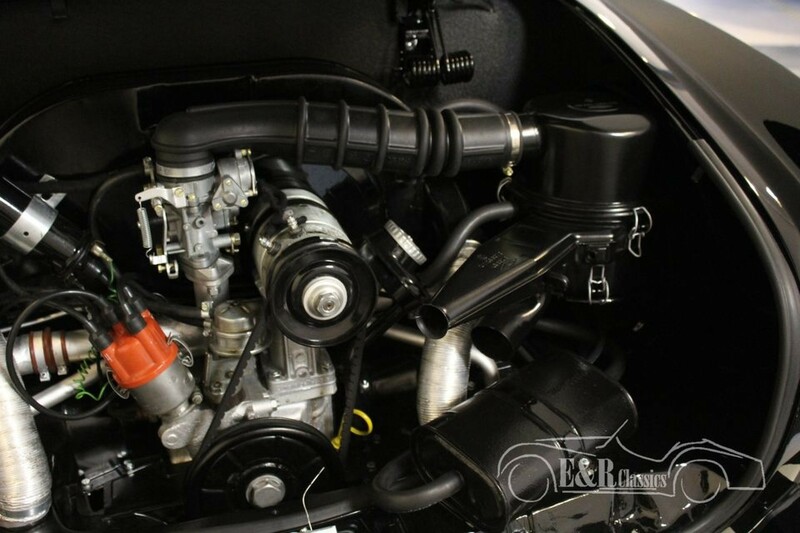 The car has the popular colour combination of black paint with red leather interior and a black Sonnenland soft top Really marvellous together with the original little bumpers and the chrome wheels.Must be the most beautiful Karmann Ghia available on the market nowadays.